Converting a dim, dank basement into usable living space takes imagination and work. The end result, however, has the potential to be very satisfying and valuable to your family and to your home's ultimate selling price. Whether you need an extra bedroom or want a game room, craft room, gym or home office, your basement is a diamond in the rough. Just look at the photos on this site of some typical basement remodels. 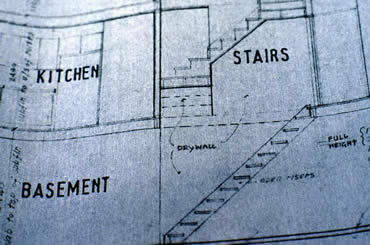 Get help with ideas, plans, and finding the right basement contractor to convert your basement dream into reality. Why use a contractor? A good basement contractor knows how to keep your basement dry using weather exterior grading, a sump pump, and special coatings for the exterior walls. Experienced contractors know how to design proper heating and ventilation systems, plumbing and electrical systems that meet local building codes. You can find these local, licensed basement contractors right on this site.